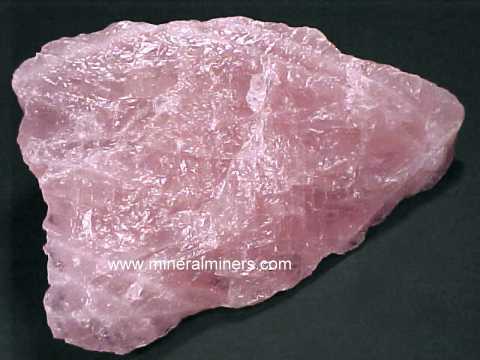 Try our Rose Quartz Handcrafted Items Satisfaction Guarantee - compare our prices and our superior quality. Click on any handcrafted rose quartz image below to enlarge it. This extra large size rose quartz pendant was hand-crafted in 925 sterling silver with open back settings and then bezel set with a 26x18mm pear shape natural rose quartz cabochon gemstone, a free-form shape natural freshwater pearl measuring 20x7mm, and with a 10x8mm oval faceted gemstone of medium purple natural color amethyst! 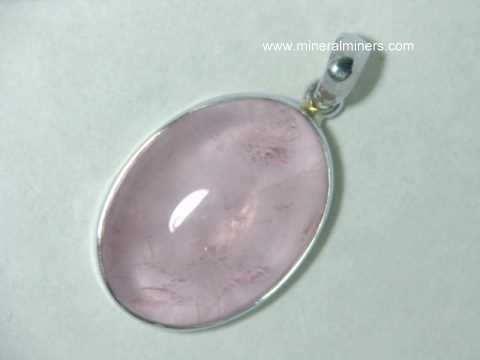 The lightly included rose quartz gemstone in this pendant is semi-transparent to transparent with pale pink natural color. This natural rose quartz pendant was hand-crafted in 925 sterling silver and bezel set with an with open back setting. 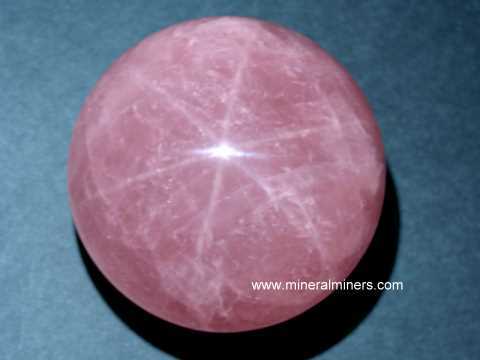 The natural color rose quartz cabochon gem is a 21x15mm cushion shape cabochon that is semi-transparent with light pink natural color. 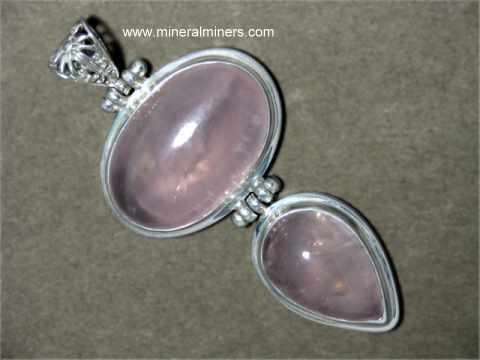 This natural rose quartz pendant was hand-crafted in 925 sterling silver and bezel set with an with open back setting. 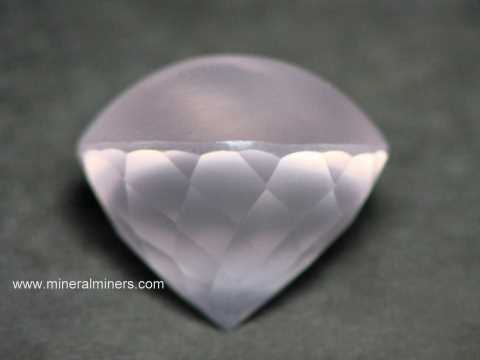 The natural color rose quartz cabochon gem is a 41x24mm pear shape cabochon that is semi-transparent with light pink natural color. This natural rose quartz pendant was hand-crafted in 925 sterling silver and bezel set with an with open back setting. 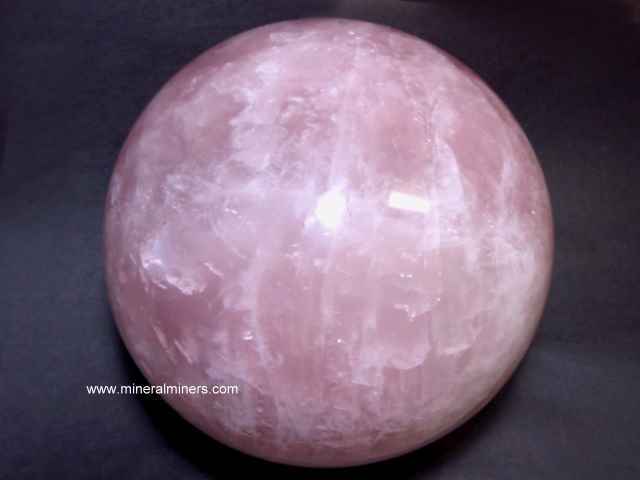 The natural color rose quartz cabochon gem is a 28x20mm oval shape cabochon that is semi-transparent. 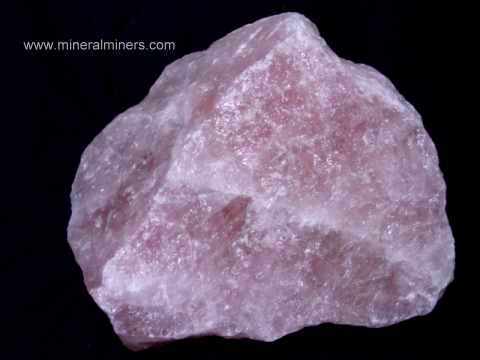 This lightly included rose quartz gemstone has light pink natural color. Natural rose quartz pieces that were mined in Brazil were tumbled & polished in baroque shapes, and then drilled and strung on an interwoven elastic band fitting all wrist sizes up to a size 8. 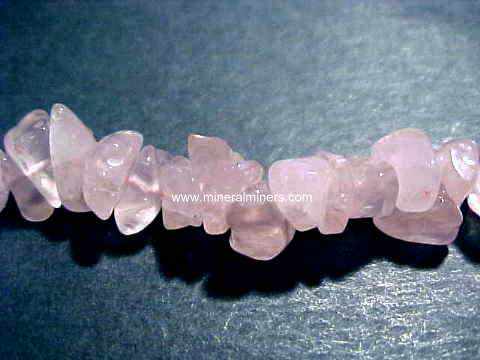 These natural rose quartz beads are untreated, and they have lovely light rose-pink natural color. Natural color rose quartz pieces that were mined in Brazil were tumbled and polished in baroque shapes, and then drilled and strung into this beautiful 18" (45cm) long rose quartz necklace with a sterling silver clasp. These rose quartz beads are semi-transparent to transparent, with beautiful pink color. There are approximately 180 drilled baroque beads in each of these natural rose quartz necklaces. 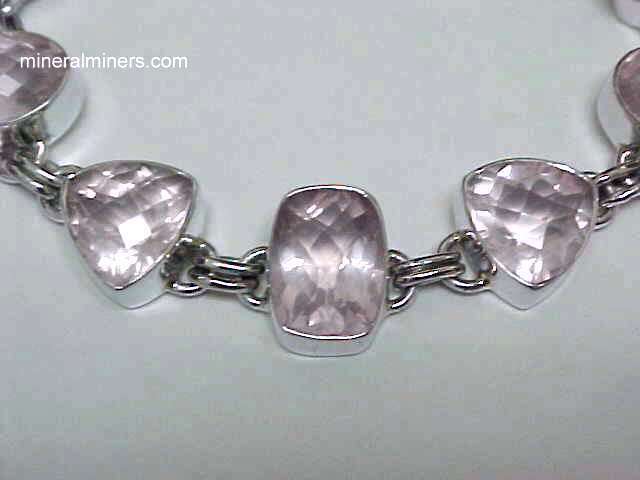 The photo at left shows a close-up view, See also a full view of this genuine rose quartz necklace. Natural rose quartz pieces from Brazil with nice pink color and superior transparency were tumbled and polished in baroque shapes, and then drilled and strung into this 36" (90cm) "endless" rose quartz necklace. There are approximately 330 drilled baroque beads in each of these natural rose quartz necklaces! The photo at left shows a close-up view. 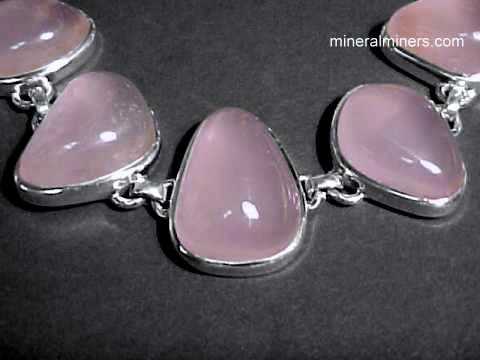 See also a full view of this natural rose quartz necklace. These necklaces of baroque shaped rose quartz beads make great gifts! 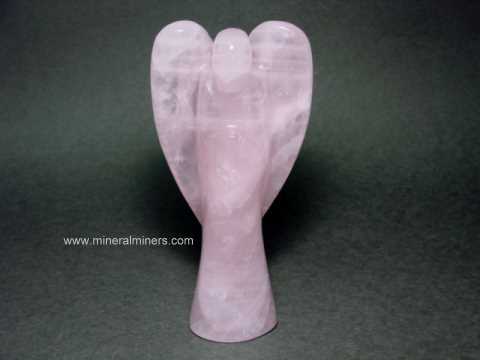 Our Handcrafted Rose Quartz Items are 100% Natural Rose Quartz! 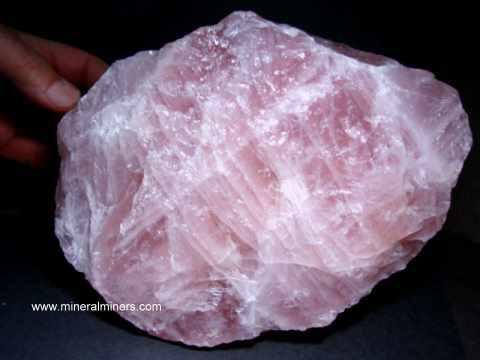 We also have a selection of natural rose quartz rough specimens available. Would you like us to inform you when we add more genuine rose quartz handcrafted gift items on this page? 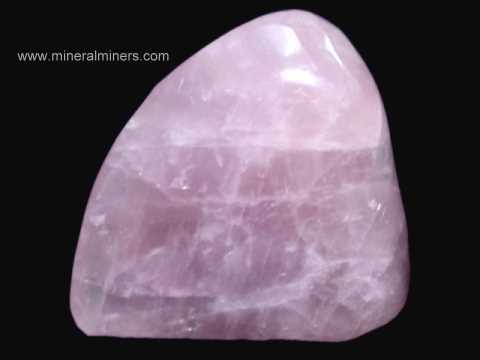 We do have additional inventory of handcrafted natural rose quartz in stock at our mineral warehouses, so be sure to let us know if you have any special requests. Please contact our webmaster or our 'site' geologist with any questions or comments.